A review of Deadpool 2 is an exercise in futility. You already know if you’re going to like it or not, the only real question is “how much?” You know you’ll laugh, again though, “how much?” I don’t want to spoil any of the jokes, quotes, or guest appearances, so what exactly do I write in this review??? I’ll try to answer the above mentioned questions in the most Deadpool way I can: staring at camera, winking… “A f*ck lot” and “Laughed till I peed blood.” Ok… maximum effort! 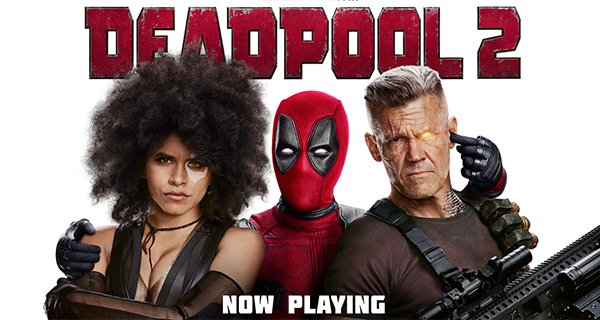 Deadpool 2 once again stars Ryan Reynolds as Wade Wilson, the 4th wall-breaking, merc with the mouth who spends his days tracking and brutally slaying an international array of baddies and cracking jokes on Hugh Jackman, Ryan Reynolds’ filmography, and really all superhero movie conventions. This time, however, after an early dose of reality, Wade realizes he may in fact have to accept certain conventions, amongst these, a team-up with the X-Men.